The increasingly sought-after Elite Spectrum is now available to buy in the UK. 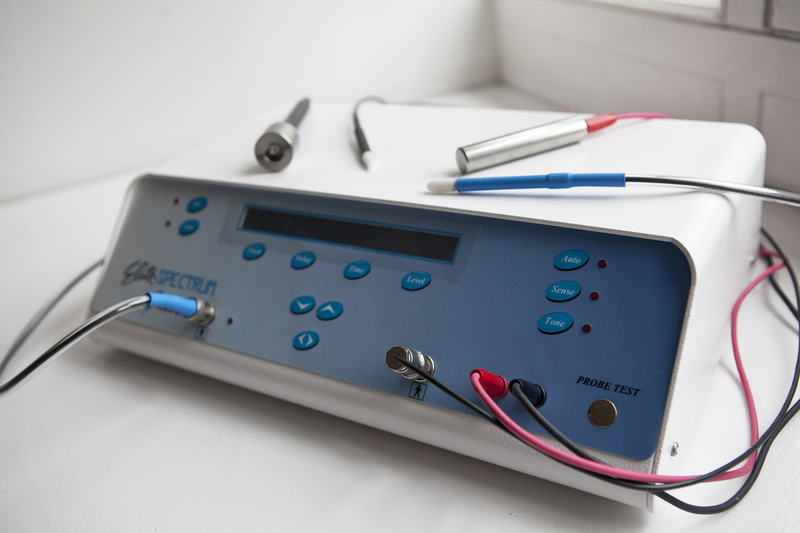 The first public appearance of the Elite Spectrum was at the BIAE (British Institute and Association of Electrolysis www.electrolysis.co.uk) AGM and seminar in London on Sunday, April the 6th 2014. June (Cherry Tree) was there with a machine for close inspection and to answer questions and take orders. The Agm and Seminar was attended by around 80 electrolysis specialists from around the UK, Spain and the USA. The event was held as in previous years at the Union Jack Club in Waterloo, London. Right across the road from Waterloo mainline station and underground. Lunch with wine was provided as were teas and coffees and the bar upstairs in the main lounge provided a cosy, comfortable meeting place before and afterwards. In the two days preceding the AGM on Sunday the 6th of April, specialist electrolysists who are members of Hairshoot met together in a well organised and informal workshop in Peterborough. Client/models came for free treatments and 7 electrolysists compared notes, helped each other and tried different epilators (Sterex SXB, Apilus Platinum Pure and Instantron Elite Spectrum) This was a successful and useful learning experience appreciated by all. The Elite Spectrum was popular and well tried with great success. Professionals liked its versatility, its straight-forward operation and its extra features. The Airflow system was a crowd pleaser but the real winners were the Spectrum’s operator-controlled settings, the every-day usefulness of dual probe-holders, variable sequential current selection, computerised timing, foot-pedal free operation (when required) and intuitive operation. Hairshoot is a closed Facebook group for electrolysis specialists which has become extremely popular over the 14 months since its birth. Members come from many corners of the world and all share best practice, help one another and enjoy talking shop. Love it! After 40 yrs of electrolysis treatment taking forever…….this machine is a revelation! Results are achieved in record time. Such a great review, thank you Mandy! Thank you so much for your comment proptech. Thank you dovenmuehler, I appreciate your feedback.